Six hand-breaded chicken tenders, tossed in your choice of Buffalo or BBQ Sauce or Sweet Kentucky Bourbon Glaze. 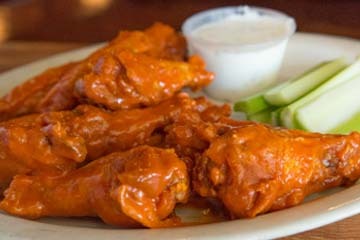 Served with celery and your choice of ranch or bleu cheese dipping sauce. 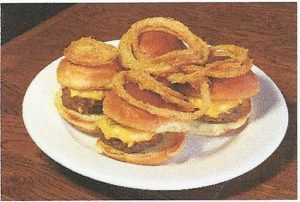 Thick cut onion rings, or thinly sliced strings, hand battered and served with our own special bistro sauce. Spicy jalapeños stuffed with cream cheese and served with ranch dipping sauce. Homemade tortilla chips served with our fresh chunky salsa. Homemade tortilla chips served with homemade guacamole. Fresh made tortilla chips covered in cheese with lettuce, tomato, sour cream, guacamole, and sliced jalapeños. 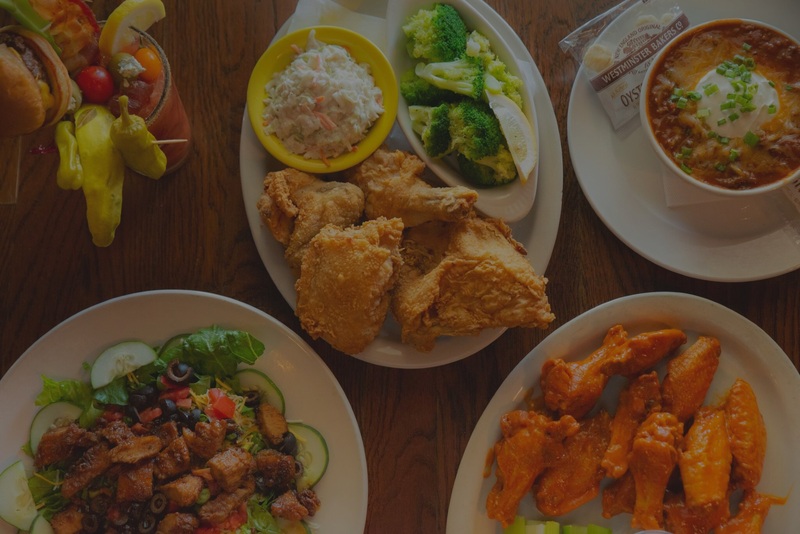 Choose 3 of the following: 3 Wings, 3 Chicken Tenders, 2 Potato Skins, 3 Onion Rings, Onion Strings, Cheese Curds, Fried Mushrooms, 2 Jalapeño Poppers. Served with your two favorite dipping sauces. 12-14 shrimp sautéed in a buttery garlic sauce, topped with baked bread crumbs. Tender Beef Bites smothered in Sweet Kentucky Bourbon Glaze. Shredded chicken in a spicy cream cheese dip, served with fresh made tortilla chips. Fresh baked potatoes loaded with cheese, bacon, tomato, and chives. Fresh cut fries smothered in cheese and bacon. Served with ranch dipping sauce. Fresh made frozen tater tots covered in cheese with lettuce, tomato, sour cream, and sliced jalapeños. Choose your favorite of our available sauces and rubs! Four pieces of our hand-breaded Fried Chicken, made to order. Takes 25 minutes, but well worth the wait! 2 pieces of tempura cod served alongside our tasty fried shrimp. 3 thick and tasty hand-breaded cod fish filets, deep fried and served with tartar sauce. Add additional pieces for only $2.50 each! Wild ocean shrimp hand-breaded and served with cocktail sauce. 10 oz Certified Angus top sirloin, cooked to order in our signature Kentucky Bourbon sauce. Two tender 6 oz chicken breasts impeccably seasoned and perfectly grilled. Cajun blackened salmon filet drizzled with our caramelized secret sauce. Grilled salmon topped with creamy spinach sauce. Pasta cooked to order, topped with Italian red sauce and Mama’s Meatballs. Juicy chicken breast, fried or grilled, topped with Italian red sauce and melted provolone cheese. Traditional slow-simmered ground beef, onion, peas and carrots, topped with our homemade mashed potatoes. Grilled shrimp, organic broccoli, and spaghetti tossed in a light garlic butter. Creamy homemade Macaroni and Cheese, topped with bread crumbs and baked to a golden brown. Start with our creamy Baked MAC, and add your choice of one mix-in. Add additional mix-ins for $2.00 each. Romaine lettuce topped with shredded cheddar jack cheese, diced tomato, chopped green pepper, green onion, diced bacon, chopped egg, and black olives. 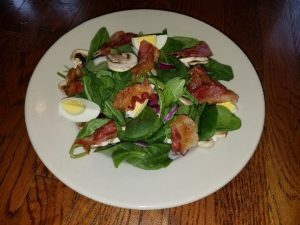 Fresh spinach tossed in Bryan’s own sweet Italian balsamic vinaigrette, with bacon, red onion, mushrooms, walnuts, dried cranberries, and egg. Romaine lettuce tossed in creamy Caesar dressing topped with shredded parmesan cheese and garlic croutons. Romaine lettuce topped with cheese, tomato, green onion, cucumber, and black olives. 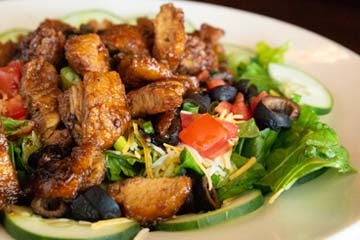 Add chicken or steak, grilled in our famous Sweet Kentucky Bourbon Glaze. Romaine lettuce topped with cheddar jack cheese and diced tomato, with bleu cheese dressing on the side. Iceberg Lettuce, Diced Tomato, Carrots & Red Cabbage. Refill your cup for only $2.00 or your bowl for only $3.00. 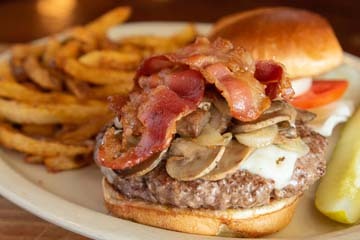 Topped with grilled onion, mushrooms, bacon, and melted Swiss cheese. Blackened burger, topped with melted bleu cheese and bacon. Topped with bacon, cheddar, BBQ sauce and onion strings. Choose your patty and add your favorite toppings for just $1.00 each! Take the Triple “B” Challenge! Start with double the burger and add your favorite two toppings from the list above. Served on a toasted bun with lettuce, tomato, onion, and a pickle. 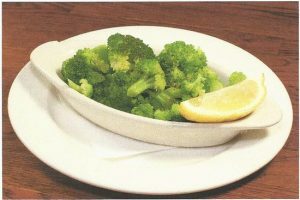 Served breaded or grilled on a toasted bun. Breaded or grilled chicken breast served on a toasted bun with our signature buffalo sauce. Grilled chicken breast, melted bleu cheese, bacon, and avocado served on a toasted bun with honey mustard. Breaded or grilled chicken breast topped with our homemade Italian red sauce and melted provolone cheese, served on a toasted bun. Juicy grilled chicken breast perfectly seasoned, topped with pepper jack cheese and served on a toasted bun. Succulent Cajun grilled chicken breast, topped with grilled green pepper and onions and melted provolone cheese. Seasoned tender sandwich steak, grilled peppers and onion, and melted provolone cheese served on a toasted roll. Tender corned beef, sauerkraut, and Swiss cheese served on dark rye bread with 1000 island dressing. Two breaded catfish filets served on a toasted bun with shredded lettuce and tartar sauce. Served on your choice of toasted bread. Add bacon and avocado for just $1.00 each! Sliced Turkey ,Breast, Bacon, Swiss Cheese, Lettuce, Tomato & Mayonnaise. 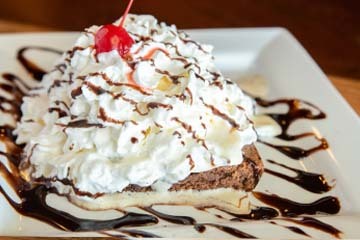 Served on a Toasted Bread of Your Choice. Perfect for a light lunch or snack! 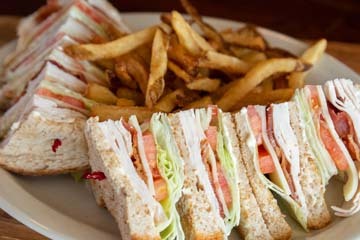 Tasty bacon, crisp lettuce, fresh tomato, and mayo served on your choice of toasted bread. Thinly sliced and piled high on light rye bread, served with a side of horseradish. A Bowl of our soup of the day with a house salad. 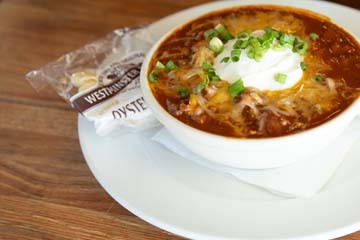 Get a bowl of loaded chili instead of soup for just $1.00 more! 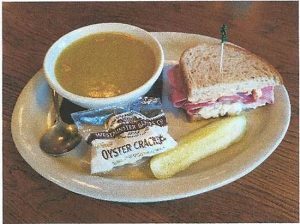 Your choice of a bowl of our soup of the day or house salad with ½ Corned Beef, Rueben, or Turkey Sandwich (not grilled). Want loaded chili instead of soup? Add $1.00. All Quesadillas are served w/ a big scoop of Homemade Guacamole & Sour Cream on a bed of Shredded Lettuce! Tender grilled chicken breast, grilled green pepper and onion, and melted cheddar jack cheese. Sautéed onions, green pepper, mushrooms tomatoes, and melted cheddar jack cheese. 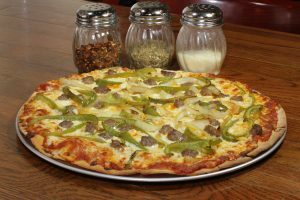 Mouthwatering steak, grilled green pepper and onion, and melted cheddar jack cheese. Flour tortilla stuffed with melted cheddar jack cheese. Sweet Kentucky Bourbon glazed chicken with cheddar jack cheese, lettuce, tomato, and ranch dressing. Seasoned steak with grilled green pepper and onion, lettuce, tomato, cheese, sour cream, and guacamole. Spicy breaded buffalo chicken breast with cheddar jack cheese, lettuce, tomato, and bleu cheese dressing. Grilled chicken wrapped up with romaine lettuce, Caesar dressing, and Parmesan cheese. Grilled green peppers, onion, and mushrooms served with melted cheese, lettuce, tomato, sour cream, and guacamole.